Around here, we offer quick service on loans. We're local. Many of us were born and raised in the communities that we serve. Because of that, we make our decisions right here in our office. Some places have local branches, we have local roots. We can't wait to meet you and get you on your way to owning... well, whatever it is that you want. 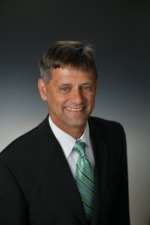 Mike Bowling, Senior Loan Officer and Senior VP, has been a part of KFB since 1981. 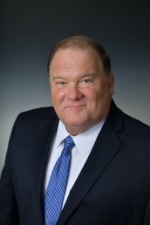 "Hello, I'm Michael Bowling and I am Senior Vice President - Senior Lender at KFB. I have been serving customers of Kentucky Farmers Bank since 1981. I am a Graduate of Marshall University with a degree of Bachelor of Business Administration and Finance. I also received diplomas from the National School of Compliance, University of Oklahoma, Graduate School of Bank Administration, University of Wisconsin, and Bank Administration Institute. I am a lifelong resident of Catlettsburg and am involved in various organizations throughout Boyd County. 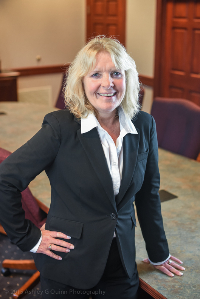 With over 34 years of banking experience, and 6 "Best Banker - Reader's Choice" awards from the Ashland Daily Independent, I am here to be your partner in a total financial relationship! " Contact him today and get your loan rolling! Journey Jordan, Summit Lender, has been a part of KFB since 2014. "Hello there! 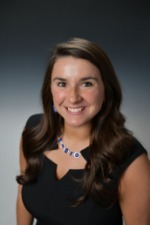 My name is Journey Jordan and I have been with Kentucky Farmers Bank since 2014. I started as a Teller, moved to Customer Solutions, and now I am a Loan Officer at our Summit location. I graduated from Boyd County High School in 2012 as Class President. I have received my Associates in Business Administration at Ashland Community and Technical College. I am currently enrolled at Morehead State University working on my bachelors. I attend Heritage Church in Boyd County and coach Upwards Soccer. I have lived in Ashland my whole life and plan to continue with my husband Michael. I can help you with any personal loans, auto loans, or mortgages. Come by and see me! I would love to meet you!" Contact her today and get your loan rolling! Andrew Greene, VP and Catlettsburg Branch Manager, has been a part of KFB since 2006. "Hello. 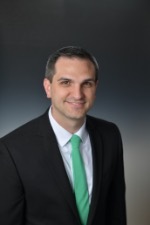 I’m Andrew Greene, a Vice President and Loan Officer with Kentucky Farmers Bank. I have been in banking since graduating from Marshall University in 1991, and been with Kentucky Farmers Bank since 2006. I am also a graduate of the Kentucky School of Banking and a lifelong resident of Ashland with my wife Pat and two children. I would love to get to talk to you about banking needs with a LOCALLY OWNED BANK! Stop by Catlettsburg, or give me a call." Dave Anderson, Ashland Commercial & Personal Loan Officer, has been a part of KFB since 2013. "Hello my name is David Anderson and I’ve been in banking for 12 years. I started as a teller in a bank while attending Kentucky Christian University. For the last 8 years I have been a loan officer that lends a helping hand to families achieving their dreams. I strive to develop personal relationships with my customers. I take pride in being the first phone call someone makes when they need a home loan, auto or recreational loan, and loans for the everyday needs. I am proud to be a part of the Kentucky Farmers Bank family and hope to serve you in my journey." 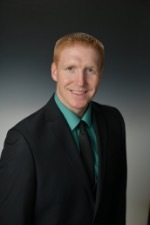 Justin May, Summit Lending Project Manager and Assistant VP, has been a part of KFB since 2004. "Hi, I started at Kentucky Farmers Bank in 2004. Since that time I have worked as Teller, CSR, Loan Clerk, Call Center Supervisor, Loan Officer, Ashland Office Manager, and now am the Lending Project Manager and Assistant Vice President. I graduated in 2008 from Marshall University with the degree of BBA, Management. I also completed the Kentucky Bankers Association General School of Banking in 2012. Since 2009, I've has specialized in consumer based lending including personal, auto, and mortgage loans. I've served as Youth Pastor at England Hill Free Will Baptist Church in Catlettsburg, KY since 2004 and am active in ministry throughout the tri-state. My wife, Nichole, our two children, and myself currently reside in Boyd County. " Karen Meade, Assistant VP and Catlettsburg Loan Officer, has been a part of KFB since 1982. "My name is Karen Arnett Meade. I have been with Kentucky Farmers Bank since 1982 . I am an Assistant Vice President and Loan Officer at our Catlettsburg office. I would like to help you with a personal or auto loan and any other banking needs you may have. I have lived in Boyd County since 1971, I am a member of Sandy City Freewill Baptist, and I often attend Catlettsburg United Methodist church with my husband. Please stop by and see a familiar face!"